Early this spring, my boyfriend Zach, his brother and father set out on the adventure of a lifetime. They went on safari during the great migration, saw some of the world's most wondrous phenomena and ultimately tackled the great Mt. Kilimanjaro. Standing at 19,344 feet, the mountain offered many obstacles, many challenges, but most of all overwhelming gratification. They reached the summit, but it was no simple task. They had the help of 24 men. 24 men who worked 24 hours a day to serve the 3 of them. To help them. To accommodate their every need. The leader of all 27 men was Mr. Edward Jonas. Eleven years ago he left his home and his tribe to become a porter on Mt. Kilimanjaro. Since then he has repeatedly climbed the mountain and the rankings. He now leads teams just like Zach's up the treacherous mountain. One night in camp, over casual dinner conversation, Edward expressed his dream of one day becoming a National Park Warden. 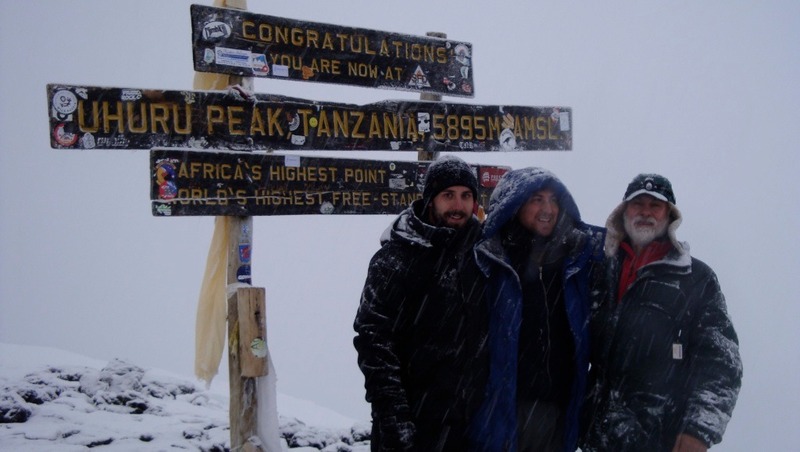 Overwhelmed by all that the mountain offered them, Zach, his brother Eric, and his father Gene vowed to give back by aiding Edward in achieving this dream. However, in order to do so, he must first attend college. In the months since their climb, the trio has worked hard to create The African Wildlife College Foundation as a means of gathering donations and spreading the word about Edward. We are very excited to announce that Edward was accepted to the College of African Wildlife Management and his education will begin August 1st. The cost of his education will total more than $6,000 a year. This is an expense that Edward could have doubtedly achieved on his own and something The AWCF will continuously need your help raising funds for. So, whether you have $1 or $1,000 to give, I would like to ask all of you to please visit their website to read more about Edward, his education and to submit a donation. At the very least, please share this story with your friends, families and co-workers! The more who become aware directly affects the aid Edward will receive. Thank you! From myself, the trio behind The AWCF and Edward!